I was initially going to call these a kiddie snack, and while my kid’s do love this snack, I love it with a little kalamata olives and feta cheese on top. But, before I continue, I must explain something. I don’t know if it’s just my kid’s, or if all kid’s are like this, but mine are obsessed with cucumbers! 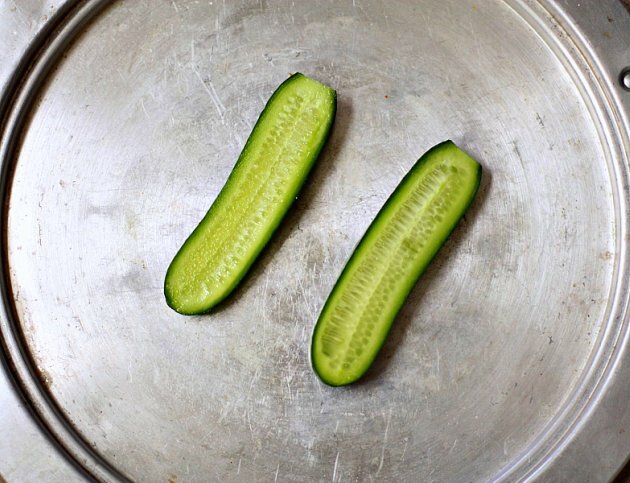 So obsessed to the point where they will eat them like a giant pickle. A frequent request in M’s lunch in hummus with slice cucumbers.When she saw me creating these little numbers she couldn’t contain her excitement. 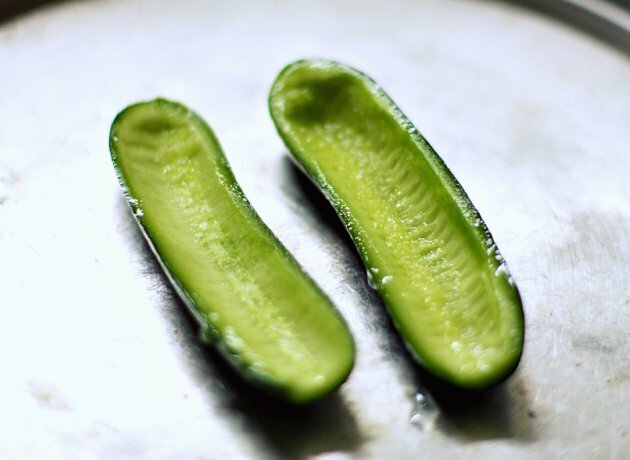 The first thing you want to do is buy some cucumbers. 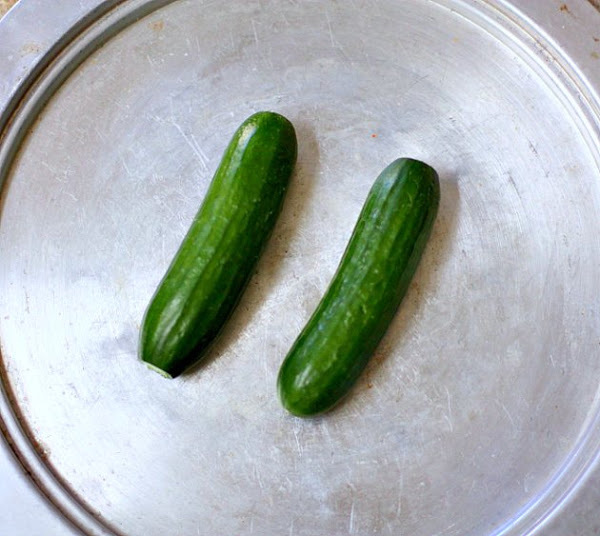 Any cucumber will do, but I prefer the persian cucumber because they are small and easy for the kiddos to eat. Next you want to chop it in half. Once it’s chopped in half, use a small spoon and gently scrape all the seeds out. 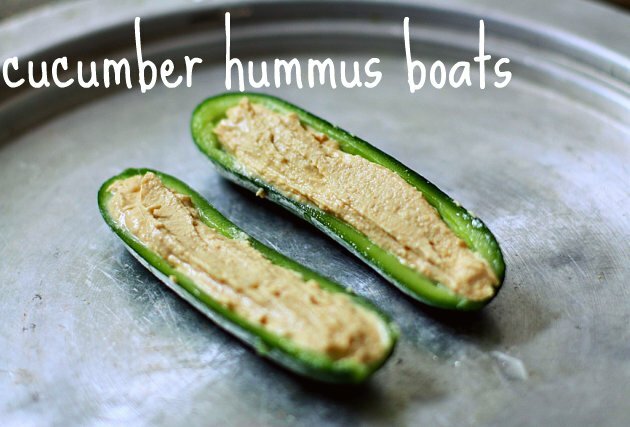 Fill the empty cucumber boat with your favorite hummus. It can be serve plain, with feta, olives, or whatever suits your taste. I’d love to hear what you would create with these! I generally find that kiddo snacks have great appeal to me as well… 🙂 Now that I have Lila, I have a reason to make all of them, ha! Hi there, just turned into aware of your blog thru Google, and located that it’s truly informative. I’m gonna watch out for brussels. I will be grateful if you happen to continue this in future. Many other folks will likely be benefited from your writing. Cheers! I’m not sure the place you are getting your information, however great topic. I must spend some time finding out more or understanding more. Thanks for wonderful information I used to be looking for this info for my mission.